Featuring: Lowest Gas Prices in Orange County, California - see below. 3.68 for Regular !! And all the Speed Traps too !! Here's the latest general Orange County DUI Sobriety Checkpoint and Saturation Patrol information. Bookmark it and come back often, we update as information becomes available. Please see the disclaimer below. 19,434 interested Visitors came here on New Years weekend, 2018. More and more of the PD's are announcing Checkpoints withoutClick Here locations, or not announcing them at all. Check back to this site later on, as alert motorists will text us with the exact locations. Text us at 714.390.5190 if you spot any OC Checkpoints, and we'll put them up here for everyone to see. We are watching for you !! Check back often as we get updates 'round the clock. And pass this OC Checkpoint page link to your friends, check it from the street - they will thank you for it !! City Zip zero Checkpoints out there in OC on Saturday night. Bristol Street from 17th Street to Callen's Common, Main Street from 17th Street to Dyer Road, Edinger Avenue from Main Street to Raitt Street and Harbor Boulevard between Westminster Avenue and Edinger Avenue. We are working on a FREE Smartphone Ap to text out Checkpoint Information. Sign Up Here to get one of the first 10,000 FREE copies. California law changes removed much of the $$ incentive for the PD's to do Checkpoints in California, and went into effect last year. We are watching out there for you. AB353 was signed into law in California. This means that drivers without valid licenses who are stopped at DUI Checkpoints in California will no longer automatically have their cars impounded - the PD's now have to make a reasonable attempt to find the owner and notifiy them. And if the owner can pay the fines etc. they can get the car back without a 30 day automatic impound. This also means that a major part of the $$ incentive for the cities and the PD's to hold these Checkpoints has been removed. Click Here for a post-passage article and some background on the new California law's effect. AB1389 was vetoed by Jerry Brown, Governer of California. This would have made it mandatory to give 48 hour notice of Checkpoints, and make it so that Checkpoints would be setup to look for Drinking Drivers only. The Police Chiefs in CA convinced Gov. Brown to veto this Bill. So it's business as usual, except that the $$ incentive to hold a lot of these California Checkpoints has been removed. We'll see if that cuts the frequency back. Click Here for an article a Street Reporter wrote on the subject. 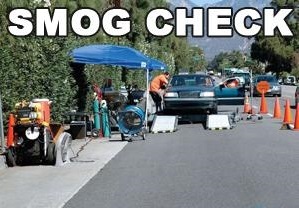 What's the deal with all these Smog Checkpoints in CA? Are they voluntary? Click Here for the OC Register article. Have you been nabbed by a Red Light camera in California? Check out www.highwayrobbery.net to get information on how to fight snapshot-camera tickets. Here is another resource to fight Red Light Camera tickets, Click Here for the article. 12 States either prohibit or do not allow DUI Checkpoints. A 1990 U.S. Supreme Court case ruled that they are legal, but Checkpoints infringe on our civil liberties, are an ineffective way of catching drunken drivers and should be done away with. Random PD Patrols are far more effective and less costly, but are not as sensational as all those flashy Checkpoints. And DUI Checkpoints gather overtime for the cops, and reimbursement from Uncle Sugar or Uncle Jerry. away when unannounced CP's are discovered by alert motorists out there at night. Flash: Blackberry and now Apple have dropped all DUI location Apps from Cellphone use, under pressure from the U.S. Congress. Click Here for the USA Today article. The PD's are supposed to announce Checkpoints in advance, but we have found that sometimes they use small publications, so very few people know. And sometimes they don't announce them at all, figuring that drivers caught are not likely to contest the charges. Be careful out there. Here's an article on AB1389, which would dramatically change the way California Police must conduct Checkpoints. They are doing DUI checkpoints now at 10am, noontime, whenever.... just to catch and impound cars for the $$$. Click Here for the article. Santa Ana urged to stop impounding cars Click Here for the OC Register article. This is guaranteed to make you wonder how these Checkpoints can continute to operate, in clear violation of the law. Click Here for a News Video from PBS suggesting that the impounding of cars is illegal and unconstitutional. 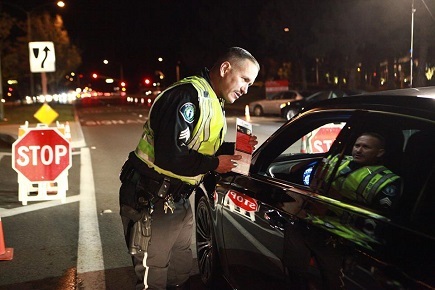 Here's some fresh info about what to expect re: OC DUI Checkpoints in 2010-11: The State of California is set to expand DUI Checkpoints -- a 50% increase. California may have the largest Checkpoint Program in the country this year, with an extra $8M in funding. Click Here for the article about this from the Sacramento Bee. State of California announces this year as the "Year of the DUI Checkpoint". More than 250 checkpoints planned by the CA-OTS - Office of Traffic and Safety. Click Here for the Press Release and article. DUI Sobriety Checkpoint and Saturation Patrol information for most Orange County, California cities, including: Irvine, Brea, Buena Park, Corona del Mar, Cypress, Fountain Valley, Fullerton, Newport Beach, Costa Mesa, Anaheim, Tustin, Santa Ana, Huntington Beach, Garden Grove, La Habra, La Palma, Laguna Woods, Long Beach, Aliso Viejo, Laguna Niguel, Lake Forest, Los Alamitos, Signal Hill, Mission Viejo, Orange, Placentia, Rancho Santa Margarita, San Clemente, San Juan Capistrano, Stanton, Villa Park, Westminster, Yorba Linda, Laguna Beach, Sunset Beach, Seal Beach, Laguna Hills, Dana Point, UCI Campus, and other Orange County, California cities and unincorporated areas. Saturation Patrols are specially trained two man Police teams that cruise the city specifically to locate and arrest intoxicated drivers. Typically there are several teams out at the same time. 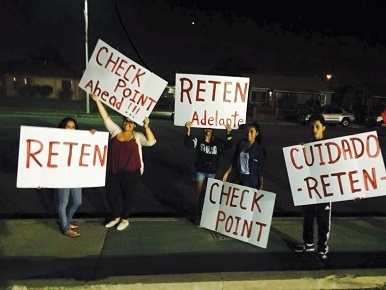 Quote from the Newport Beach PD: "The major value of checkpoints is their educational and deterrent influence on the motoring public,"
Mothers Against Drunk Driving (MADD) estimates that communities that consistently use sobriety checkpoints experience as much as 8 times the reduction in DUI incidence as communities that use roving patrols alone. Diamond Productions Produces events all over Orange County, California. Remember that if you drink, you should avoid driving. If you are driving with any alcohol in your system, even if you are not above the legal limit or do not feel impaired, you should avoid any Checkpoint and seek the advice of an attorney that practices in DUI defense specifically. We invite members of the public to make full use of the information posted herein. The content listed above is not intended to consist of legal advice, and is subject to change. All information, including mention of police procedures or operations discussed can change based upon legislative enactments, changes in policy, or changes in condition. You are encouraged to use this information with caution, and seek legal advice from an attorney regarding any legal questions you may have. This site is released from all liability from your use of information appearing on this site, and your use of this site includes that disclaimer as a term of Agreement.